Welcome back – or for the first time! This is Hookin On Hump Day, the best (I think!) link party for the yarny arts around! 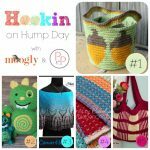 So let’s take a look at the top crochet and knit projects from this last round, and be sure to keep linking up your own blog projects, and keep visiting all the fantastic patterns shared here twice a month! 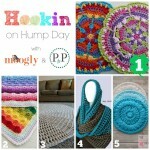 Hookin On Hump Day is hosted here on Moogly and on Petals to Picots! HOHD is a link party where you can submit your blog posts to be featured – and/or see the best new projects available on blogs across the web! We share your most clicked projects twice a month, from the posts you submit. It’s a great way to check out projects from all over the web, and to promote your own! Here are the projects that your clicks and I put together this round! 1. MOST CLICKED LINK: Celtic Winters Cowl by Left In Knots – Gorgeous cowl pattern featuring impressive post stitches – and it’s a FREE crochet pattern! 2. Roses’s Crossing Scarf by ELK Studio – So pretty, and such a great stitch pattern! And it’s a FREE crochet pattern! 3. Josephine Shawl by Lilia Craft Party – This shawl with 3D flowers is absolutely stunning! And you can make your own with the linked PAID crochet pattern! 4. Snowfall Slouchy by Whistle & Ivy – I’m stunned at how easily she created this amazing knit effect! 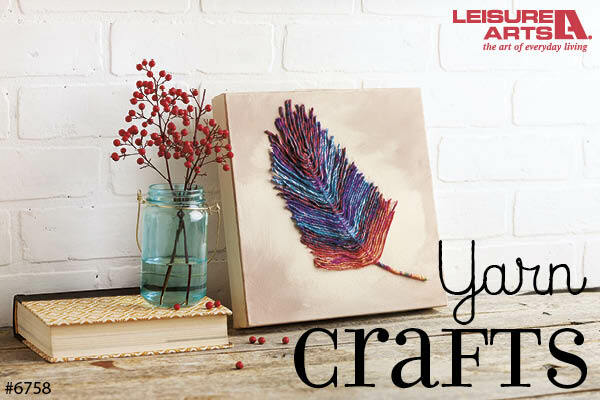 Try it yourself with her FREE crochet pattern! 5. Confetti Scarf by The Friendly Red Fox – This is so much fun! And it’s a FREE crochet pattern too! Thank you, and good luck everybody! Get Moogly on your favorite social media sites: Facebook, Twitter, G+, Pinterest, Instagram and Tumblr! 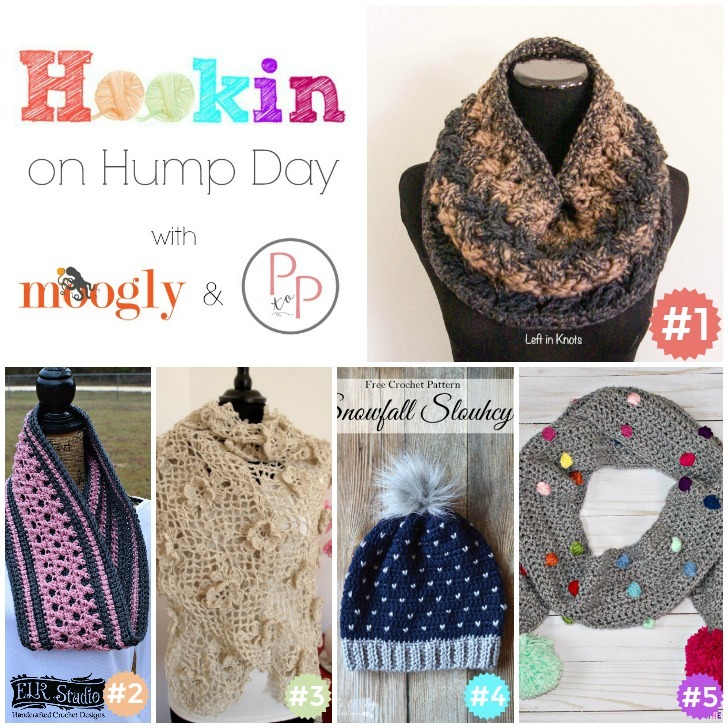 Hookin On Hump Day #91: Link Party for the Yarny Arts! 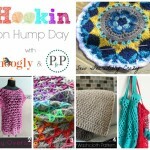 Hookin On Hump Day #186: A Yarny Link Party! Wow! I’m so honored to be included with such fantastic patterns. Love them all! Thanks as always for this link party! 😀 Thanks so much for joining Megan, you do great work! I am SO sick of seeing cowls and infinity scarves! For at least 3 years that’s the #1 new pattern. Please, someone create something new! There are lots of other patterns out there Carol – but lots of people do love to make and wear cowls and scarves! Is there something specific you are looking for that I could help you find? OH!!! My God!!! Thank you so much to featured my Josephine Crochet Shawl pattern!!! I´m so excited!! and that was my first Moogly Party!! 😀 You are very welcome! Thank you for linking up Lilia!